The Council will be reviewing a proposed towing ordinance, which can be read here, during Council Meeting Tuesday, December 17. In the Council’s meeting on December 3, Council Members had asked for some time to look over the proposed ordinance, study the issue, and gain public feedback and input. 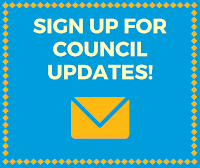 If you have concerns or questions about the ordinance, now is a good time to either write it as a comment on this blog, or contact your Council Member directly here. Provo Mayor John Curtis also has a post up on his blog detailing the history of the issue here. What are your thoughts about the proposed ordinance? Your thoughts and feedback are welcome.